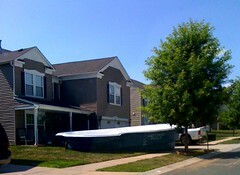 A neighbor down the street is putting in the world’s biggest pool. In the world. In their teeny tiny back yard. It’s gonna take a miracle! Maybe I should make friends with these people cause it’s gonna be a hot Summer.